Chicken is one of my staple protein sources as it is fairly low in fat and carbohydrates compared to other sources. This is recipe is quick if you need to put something together in a hurry but also good for a weekly meal prep. 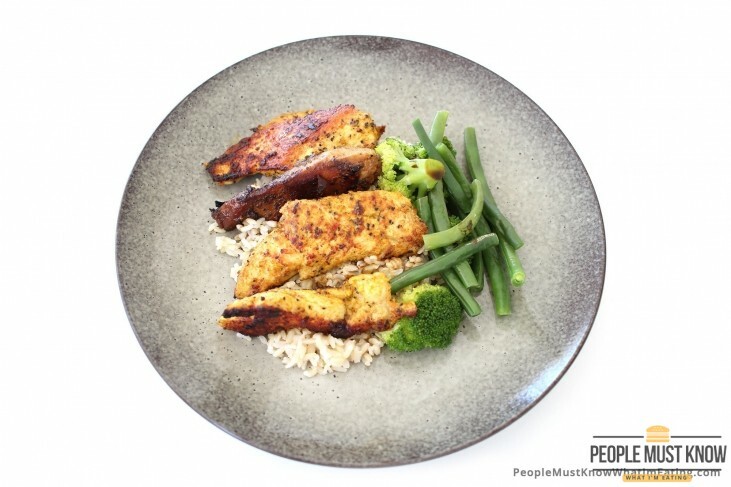 Marinating or spicing up the chicken breasts is a quick and easy way of adding flavour and diversity into the meals without going to too much effort. 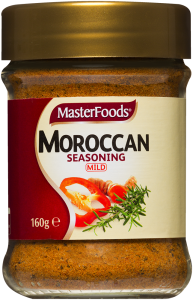 For the spicing on the chicken, I’m using Masterfoods Moroccan Seasoning. It’s quite common in most supermarkets. Otherwise, something similar will be available. If you need tips for cooking rice on a stove top, please see our rice cooking recipe. 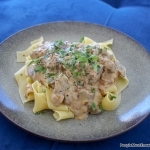 The portions that I’m using in this recipe is to help gain weight and put on muscle. If you are trying to lose fat then decrease the amount of brown rice and chicken to reduce the calorie intake. Wash and rinse the brown rice. It's important to make sure the rice is nice and clean before cooking it. Add the rice to a rice cooker or steamer. Add the appropriate amount of water to cook the rice. For tips on cooking rice on a stove top, please see our cooking rice instructions. It may take more time to cook the rice so please prepare this before cooking the chicken and vegetables. Slicing the chicken breasts in half lengthways. This will create more chicken fillets and also thin then out to make it easier and quicker to cook. 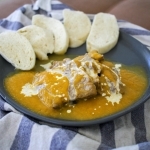 Place the chicken breast pieces in to a mixing bowl. Add the olive oil and seasoning and rub into the chicken breasts. Heat a large non stick frying pan to a medium/high heat and place the chicken breast in next to each other on the pan. Turn when it starts to colour. Cover with a lid to trap the heat and cook faster. While that cooks, heat up a small pot of water to blanch the vegetables. Cut the broccoli into small presentable chunks. Trim the ends off the green beans and cut into smaller piece if desired. When the water boils in the small pot, add in the vegetables. Cooking time should be less than 2 minutes to blanch them. Watch the colour of the greens. It should stay vibrant and green. If the green dulls then you have over blanched them. It is still perfectly fine to each but I prefer to blanch them and lightly cook them to help retain the nutrients in the vegetables. Remove and drain the vegetables. Make sure you're checking on the chicken and turning it when needed. The moroccan spice may char a little so make sure you turn early and turn often. You should be aiming to cook both sides of the chicken breast for about 6 minutes. Cover with a lid to help keep the heat in and cook the chicken breast faster. We want to make sure the chicken is cooked all the way through. Check the chicken breast be slicing through the middle of a large piece. If it looks cooked all the way through then you're good to serve. Plate the rice, and add the vegetables to the side. Place the chicken breast on the rice. Add a little dribble of soy sauce to the rice and vegetables to add some flavour to it. Be careful not to drown the rice in soy sauce.